Auditor General (AG) Deodat Sharma on Monday faced criticism from several members of the Public Accounts Committee (PAC), who accused his office of neglecting to take several roles and responsibilities into consideration when carrying out the audit of the Ministry of Labour, Human Services and Social Security. 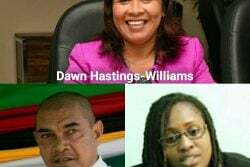 Of the 10 paragraphs from the 2010 Auditor General’s Report brought before the PAC for scrutiny, each and every one focused on the Guyana Post Office Corporation (GPOC) and the handling of Old Age Pension Payments. PPP/C MP and former Human Services Minister Bibi Shadick and PPP/C MP Gail Teixeira expressed their disappointment at the report, saying that they believe that many of the ministry’s other important aspects, including child protection, the night shelter and its uniform voucher programme, had not been examined. 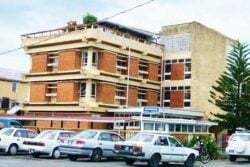 In response, Sharma stated that the areas chosen were scrutinised because his office realised it to be one of the more problematic operations and due to the fact that a significant amount of funds were involved. Nevertheless, Teixeira warned that such reporting may lead to a misrepresentation of the actual state of things in the ministry, causing one to speculate that all else is fine. Among the discrepancies reported on was the overpayment of deductions totaling $2.93M in relation to salaries to its various agencies during the years 2005-2008. 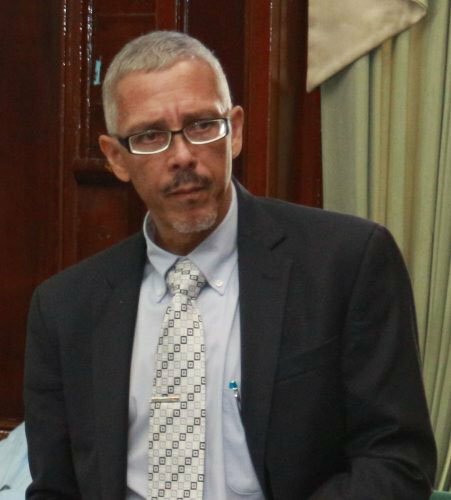 In its response to the observations, the ministry reported that the National Insurance Scheme (NIS) has returned to the ministry the sum of $255,822, being overpayment for deductions for 2007, and that efforts are ongoing to recover the remainder of the money . When asked why the remainder of the amount had not been collected, the ministry explained that calls made to the NIS proved futile, since their staff kept saying that the issue would be resolved soon. 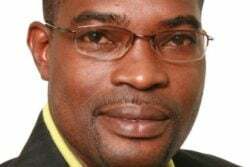 APNU MP Keith Scott said that the excuse given was unacceptable and that he was sure that more rigorous efforts would lead to the settling of the issue. Shadick, however, stated that NIS has a long history of problems as it relates to the accessing of records, and that this might be the source of the delay in recovery. She rejected speculation that its inability to make repayments was as a result of a lack of funds, but stated that NIS usually finds itself unable to trace the contributions that would have been made and as such may have difficulty justifying repayments. She said that the repayment made for 2007 is testament to the fact that the agency has the necessary funds. The AG also highlighted the fact that the ministry failed to prepare bank reconciliation statements for the entire year of 2010 for bank account numbers 3211-Poverty Imprest, 3167-Ministry Imprest and 3191-Old Age Pension Imprest. When asked the reason for the deficiency, Permanent Secretary for the ministry Lorene Baird stated that when she took office in December of 2011, she realised that the department charged with this responsibility, as well as several others, were severely understaffed. This, she said, was compounded by a lack of trained employees. She said that since then, however, through hard work and a reshuffling of her Accounts Department’s priorities, they have been able to complete reconciliation statements on the accounts for up to September 2012, and she opined that the remainder would be completed shortly. Other discrepancies involved the fact that the contract for the printing of pension coupons was deficient, since the clauses such as the duration of contract; remedies for breach of contract, ownership and control of printing software, minimum security standards required at the time of printing facility and responsibility for the disposal of spoilt coupons were not included. In its responses to the observations, the ministry stated that the recommendations had been noted, and that the contract for the printing of 2013 coupons would include the recommendations. The AG’s 2010 report also revealed that the ministry did not design, control nor did it have ownership of the software used to print pension books, but that the supplier designed and owned the software. The AG thus recommended that some sort of mechanism be put in place to verify the validity of each book. The ministry, however, referred to the recommendation as impractical, considering the amount of books that would have to be scrutinised. Agreeing with the ministry, Shadick instead suggested that a system be put in place where a random number of the books be scrutinised, in random order, on a random date, as opposed to scrutinising every solitary one of them. The recommendation was welcomed by Baird, who said that the ministry would explore the possibility. The AG’s office also criticised the ministry for not reconciling amounts paid by the GPOC though reimbursements were made which resulted in the ministry not being able to determine the amounts owed to or by the GPOC. 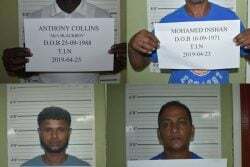 The ministry stated that it has approached this issue very seriously, and has even employed a specialist in accounting to deal with it specifically. Aside from this effort, the ministry stated that it is currently working with the Ministry of Finance to reconcile the payments made to the GPOC.